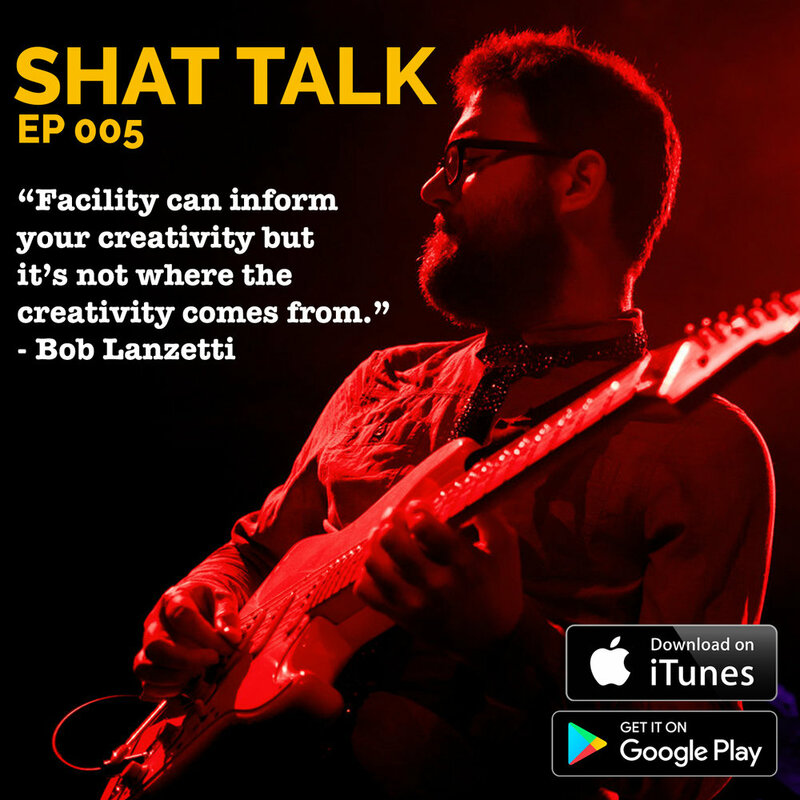 In Shat Talk Episode 005 I spoke with three time Grammy Award-winning guitarist and composer Bob Lanzetti who is releasing his debut record Whose Feet are These That are Walking on September 29. Whose Feet are These That are Walking consists of six original compositions written over an 8-year period, as well as a cover of the Beach Boys’ single ‘Caroline No.’ This instrumental record organically melds together a variety of genres including Americana, Jazz, Avant-garde, Rock, Afro-beat, and Country. The compositions are melodic and “tuneful,” with the guitar acting, at times, more as a lead vocalist than a lead guitarist. Whose Feet are These That are Walking features Bob Lanzetti on electric, acoustic, baritone, and hammertone guitars and piano, Philip Sterk on pedal steel guitar, Matt Aronoff on bass, and Jordan Perlson on drums. Additionally, several tracks include different guest musicians including members of Snarky Puppy (Cory Henry and Michael League). Having played together in a variety of settings for over 10 years, the band is able to move as one, effortlessly changing styles as well as weaving between composition and improvisation. Whose Feet are These That are Walking is set to be released on September 29th with a US tour to follow. All songs composed by Bob Lanzetti except “Caroline, No” written by Brian Wilson and Tony Asher.